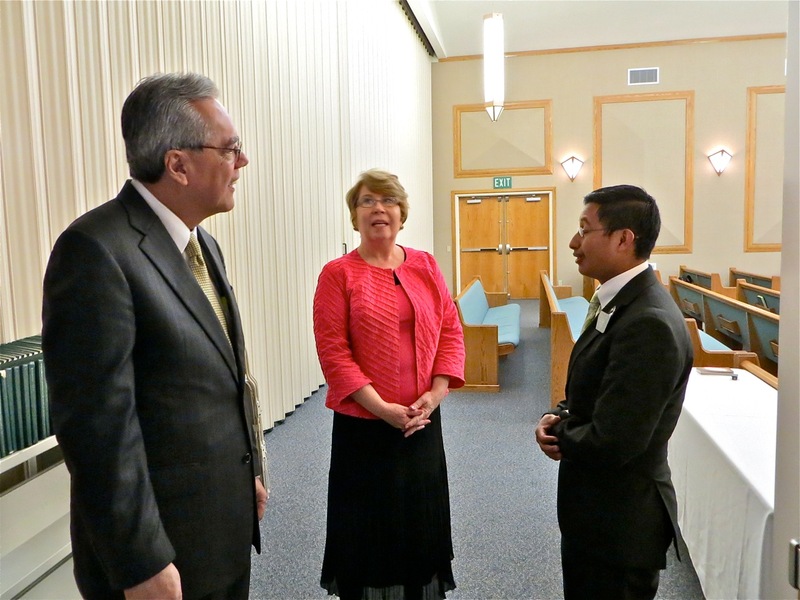 On Thursday and Friday Elder Haleck of the 2nd Quorum of the 70 and his wife were in the mission for a tour. 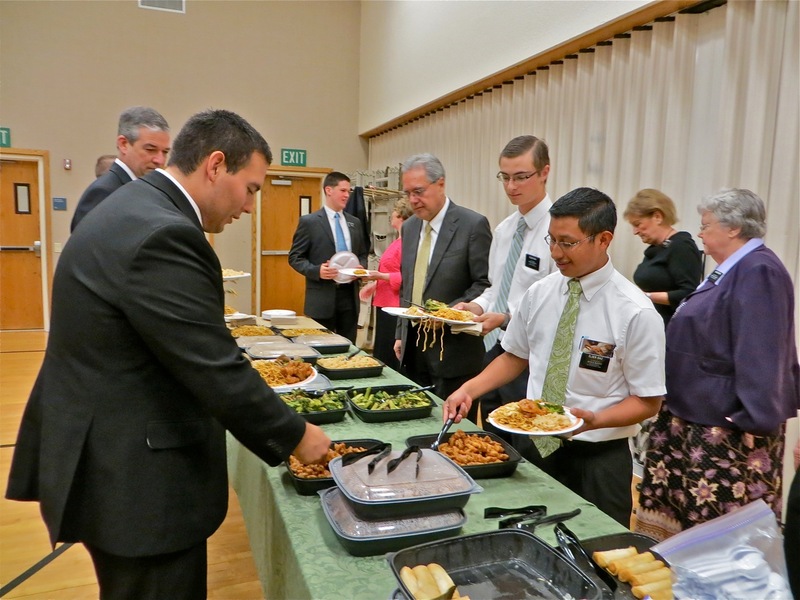 Two zone conferences were held. 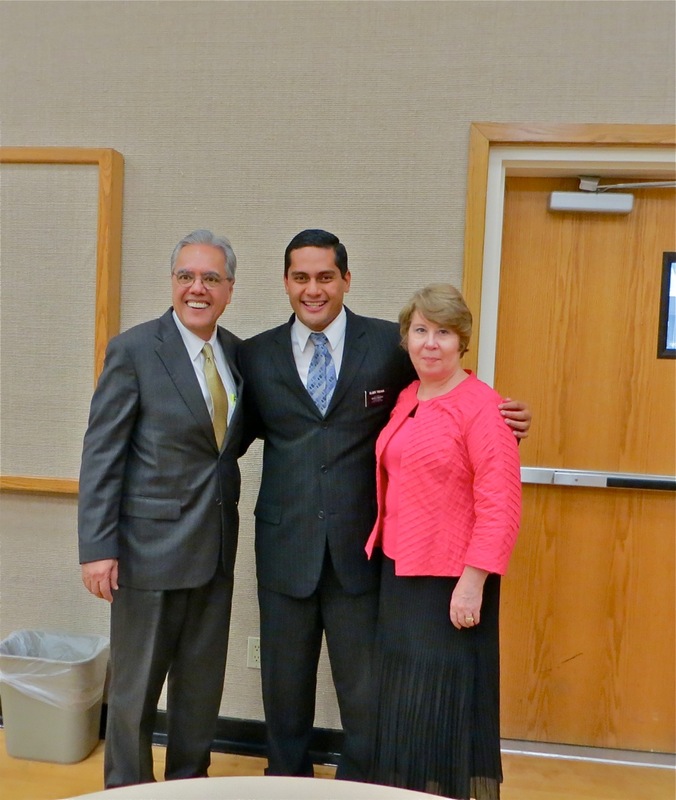 On Thursday the four Northern zones – Stuart, Palm Beach, Coral Springs and Fort Lauderdale met up in Boynton Beach. We did not go to that one because we needed to be in the office. 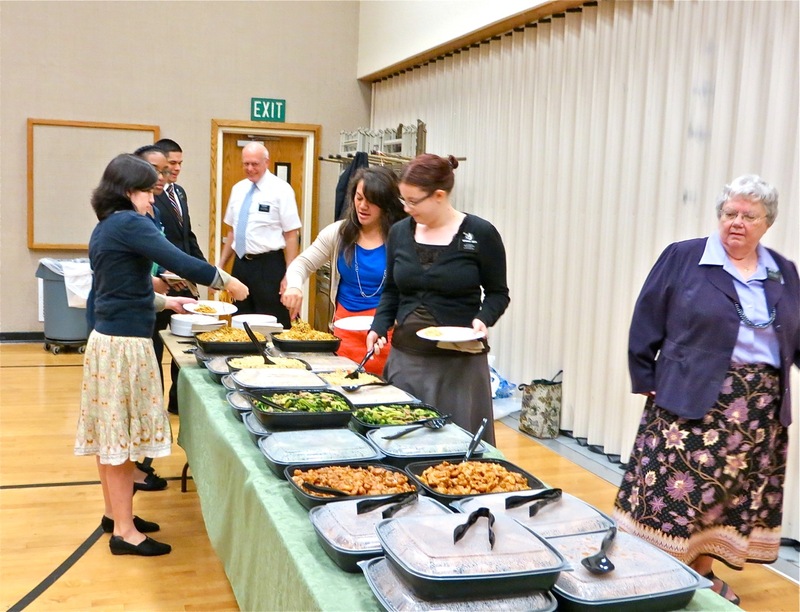 For that reason there are no missionary pictures to post from that conference! But on Friday we did go down to the Miami Lakes chapel where the Southern four zones – Miami Beach, Hialeah, Miami and Homestead – met to be taught and instructed. 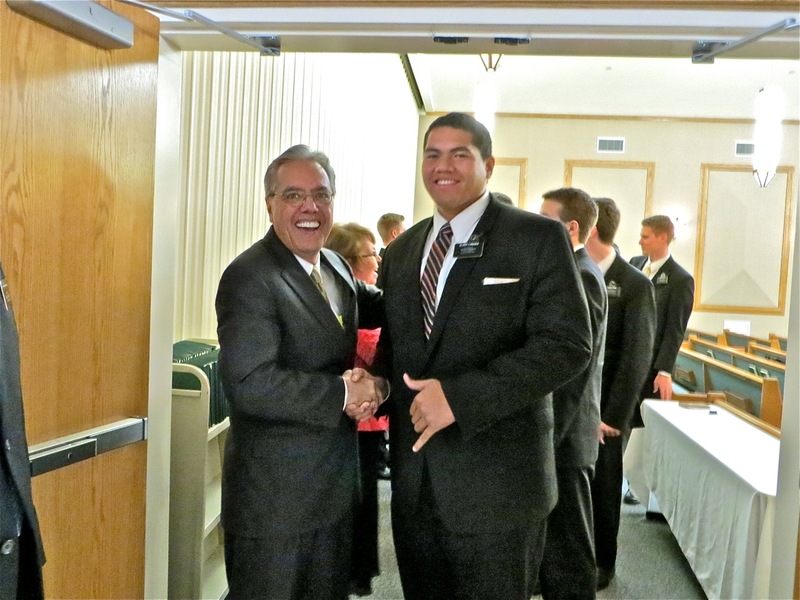 We arrived early so we could put out packages, chapel cards and Ensigns and Liahonas for the zones. 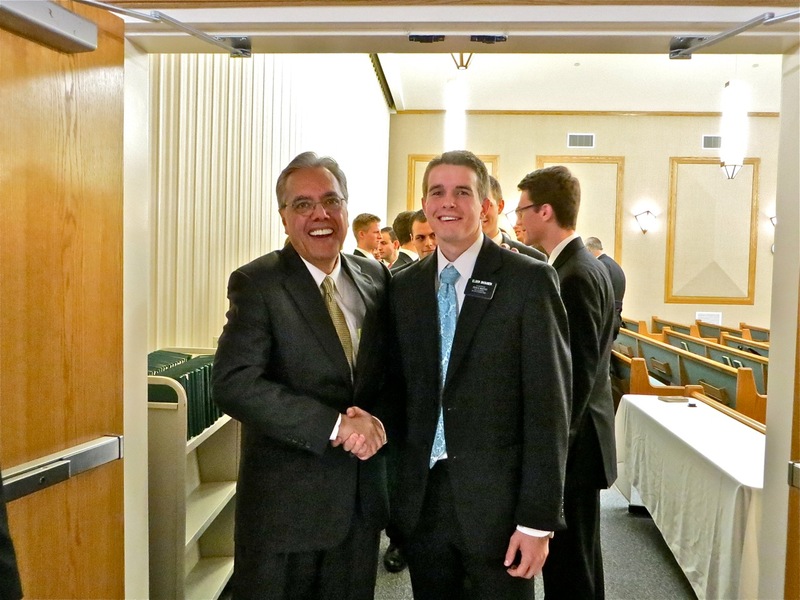 We were greatly helped by some of the elders. They are always willing to help and often we do not even need to ask because they come up and volunteer. When we started taking things in, I heard someone playing the piano in the chapel. 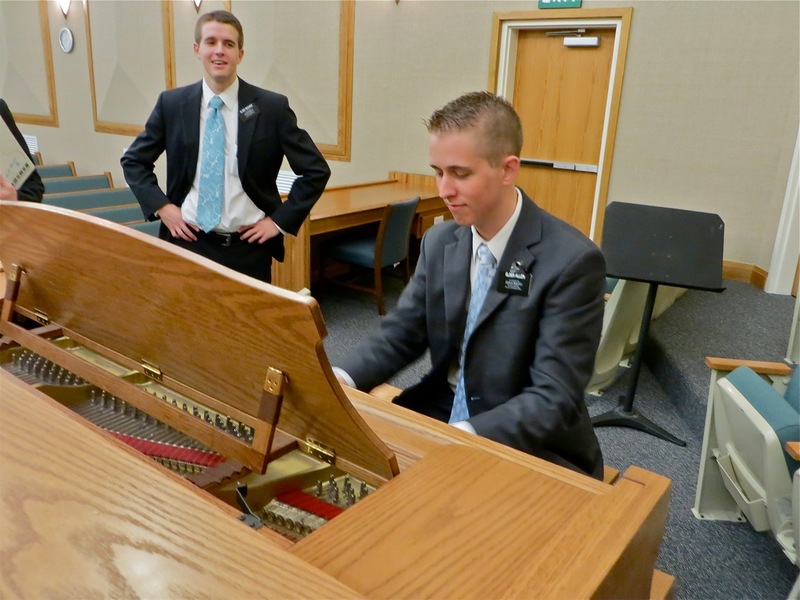 it turned out to be elder Allen who was playing some of his own jazzy pieces with elder Skousen looking on. 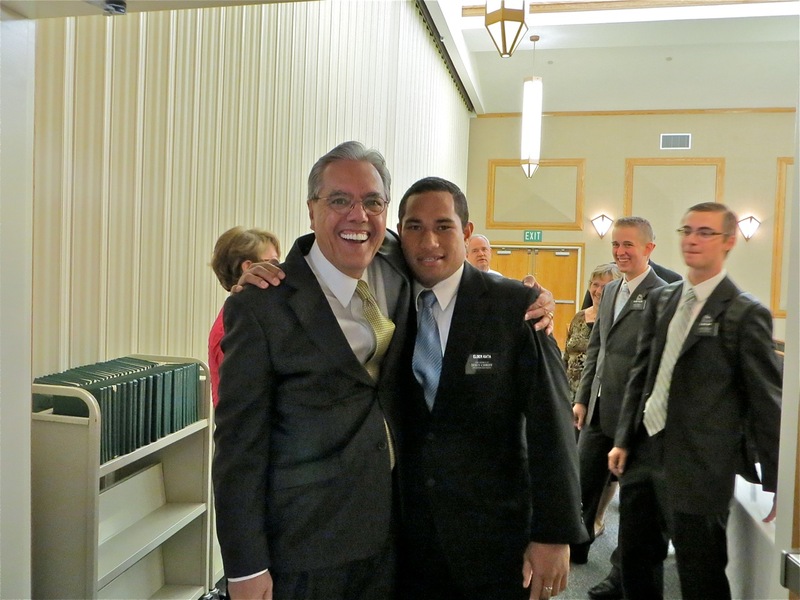 I do not get many pictures with me in them but I asked someone to take this one with elder Faniaka who serves with elder Welch in Doral. I think he is wider than I am tall! 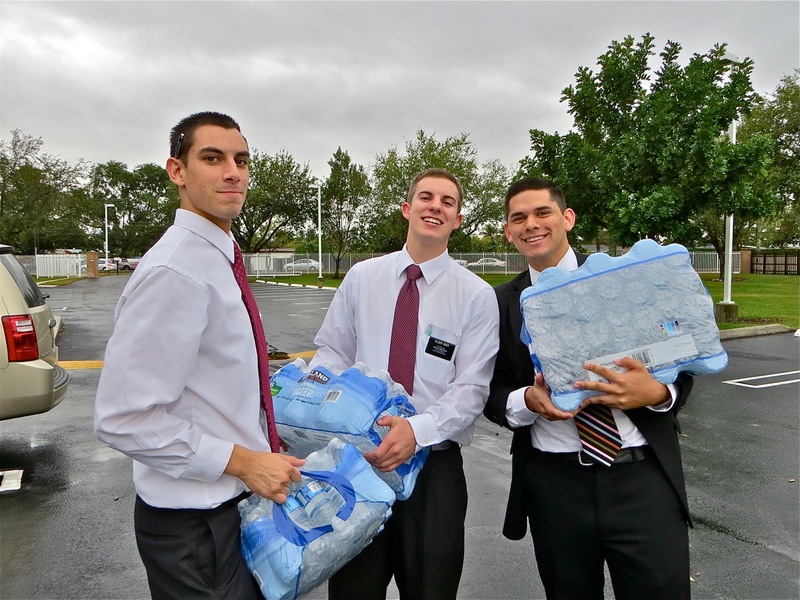 Elders Bennett and Pingree are serving in Flagler, while elders Brough and Plowman are serving as Hialeah zone leaders. 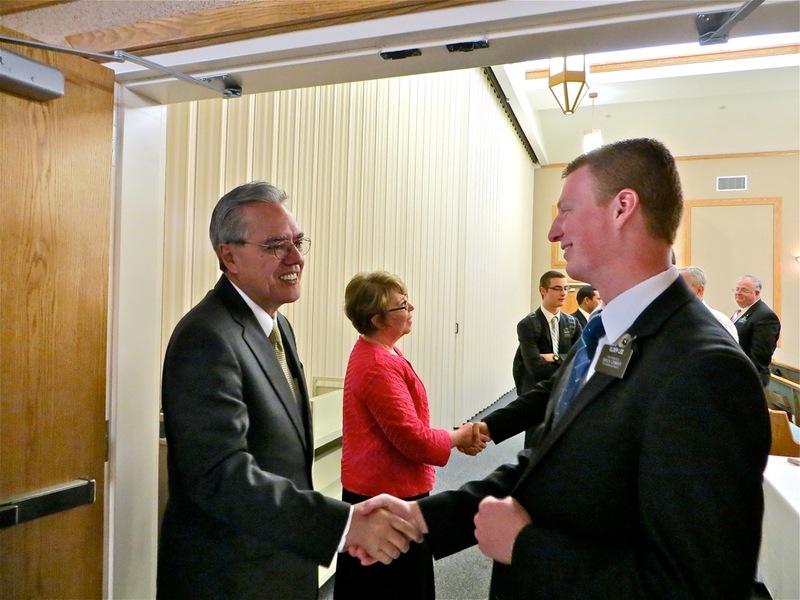 Elder Plowman and ourselves go back to the very first of our mission. Elders Page, Shepard and Chinchilla helped with packages and elders Shipley, Gust and Chinchilla carried in the water that was to be served with lunch. 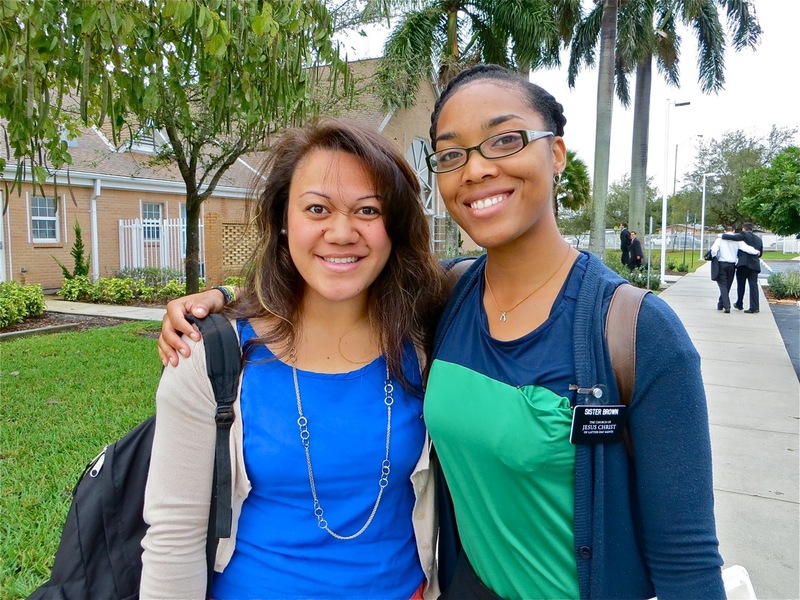 Sister Quiocho has been training sister Brown for the last two transfers in Miami Shores. 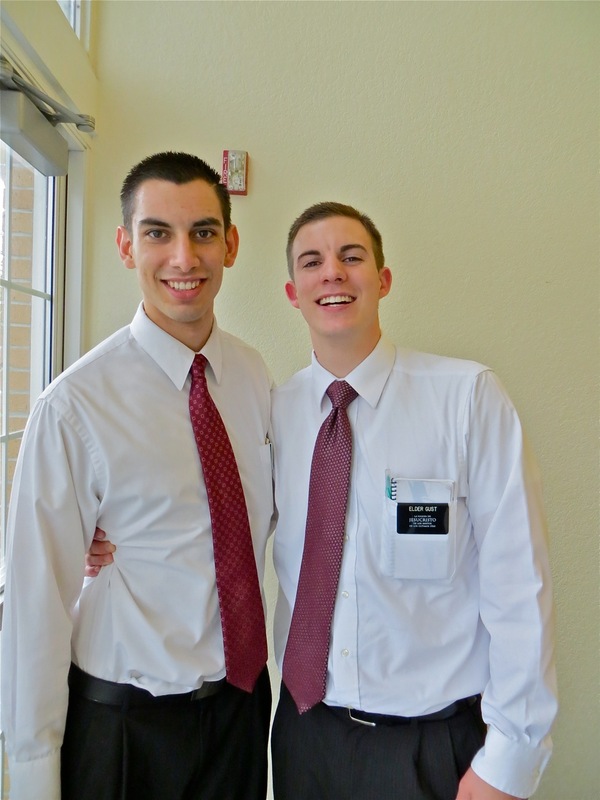 The APs – elders Shipley and Gust – have been rather busy this week with not only their regular duties and missionary work but also the Training the Trainers meeting and the two zone conferences. 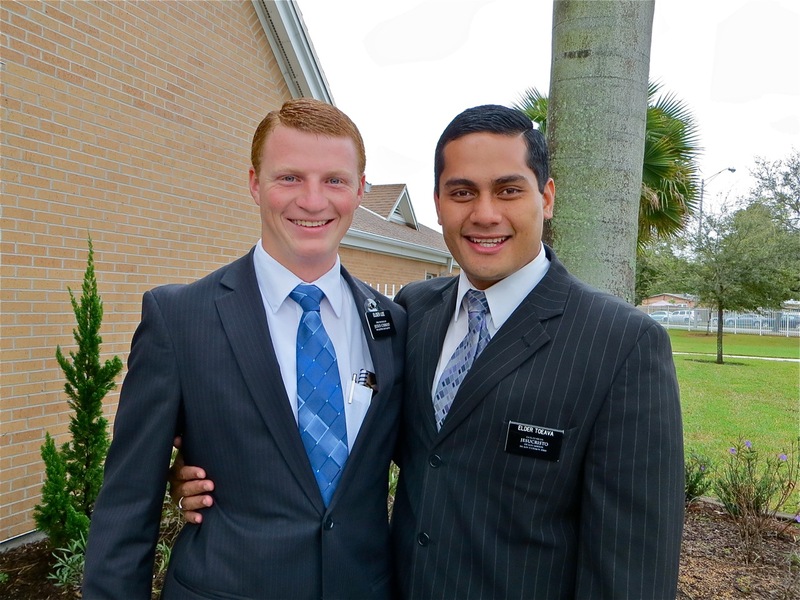 Elders Lee and Toeava are serving together in Miami Gardens. 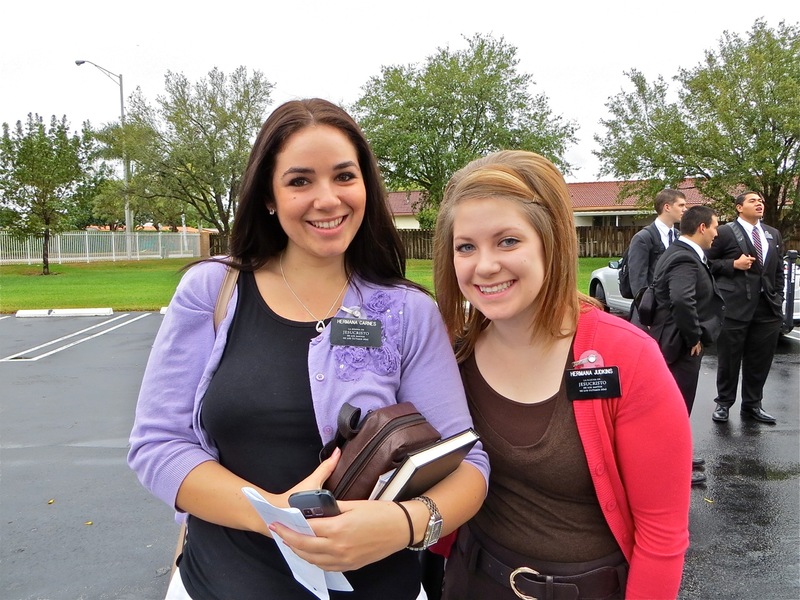 Sisters Carnes and Judkins serve the Hialeah East area. 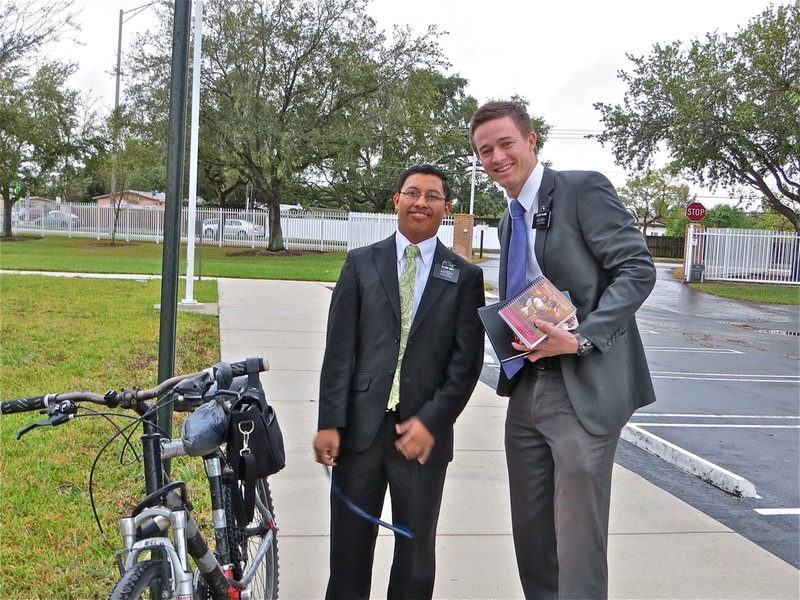 The only missionaries who arrived on bikes were elders Bay and Diaz who serve in Miami Lakes. At least they do not have to worry about going over on their miles like some areas do. They are allowed to bike as many miles as they want each month. 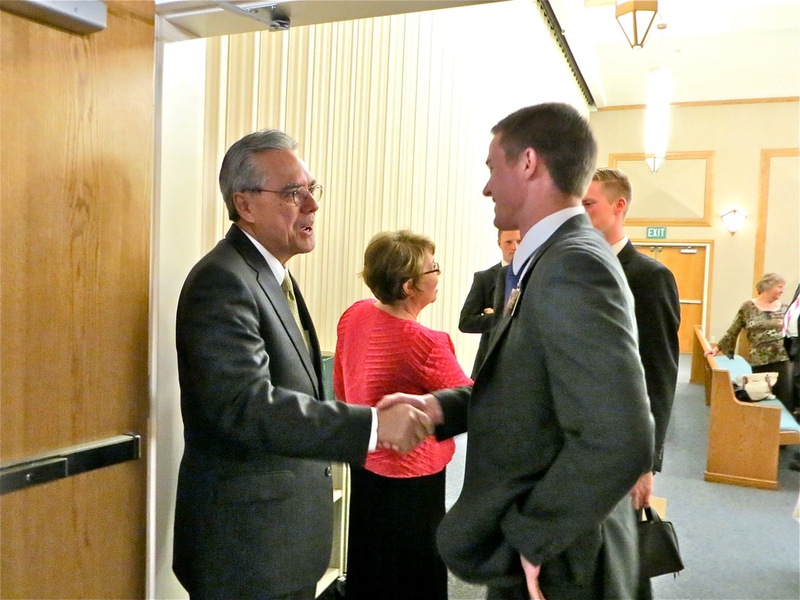 Speaking of miles, elder Bare went to both conferences to work on cars and bike racks. 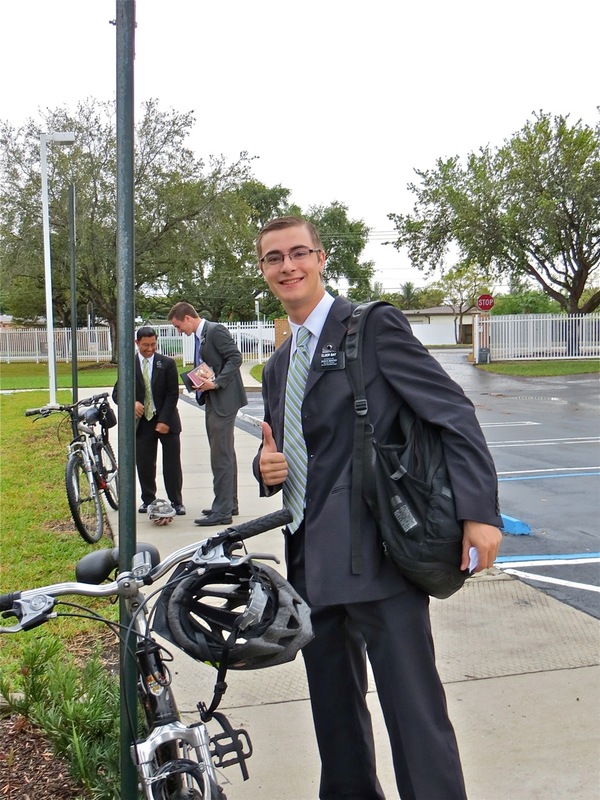 With elder Sommerfeldt going home, elder Bare is as busy as a one arm paperhanger keeping up with the vehicles and bikes. 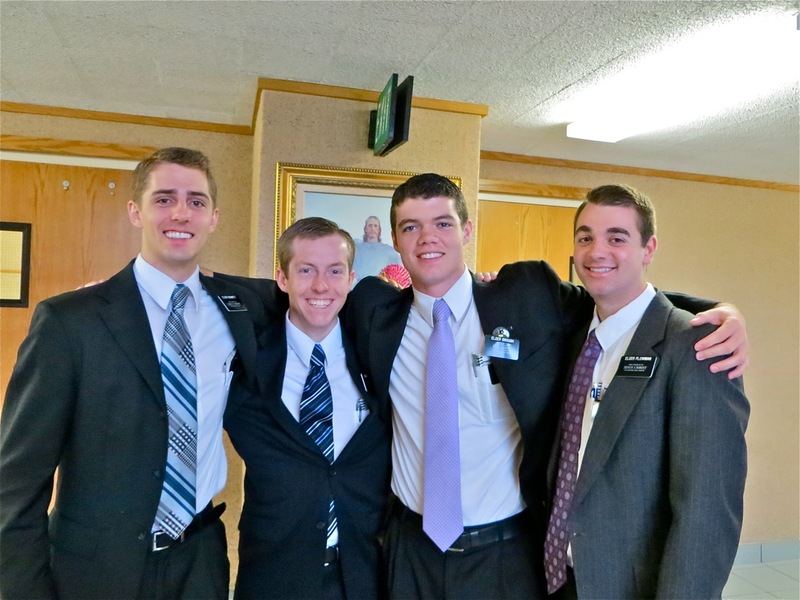 Elder Beer, Williams and others arrive from the Homestead zone. 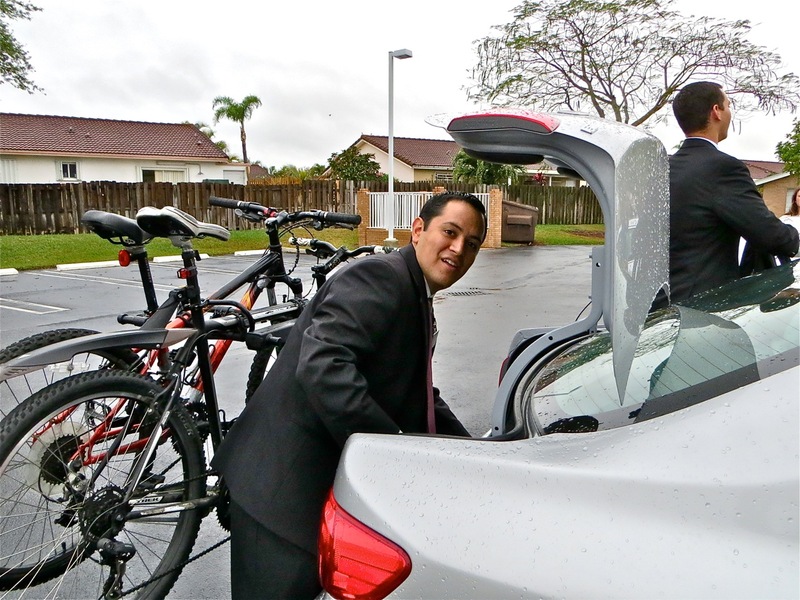 Elder Benitez gets some things out of his trunk before the meeting. 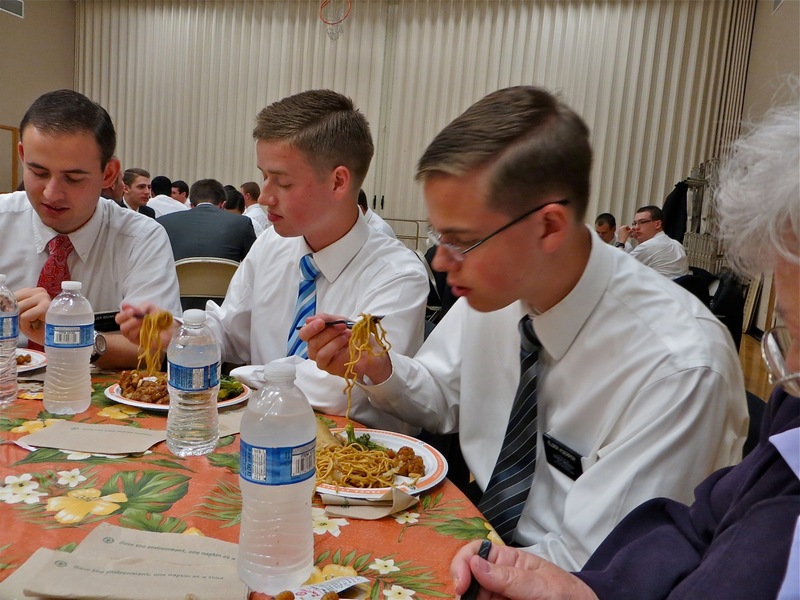 Elder Boice and I went to Panda Express to pick up all the food for lunch. The Miami Lakes chapel is where the employment office is located and they go to the ward on Sunday so they know the area well. 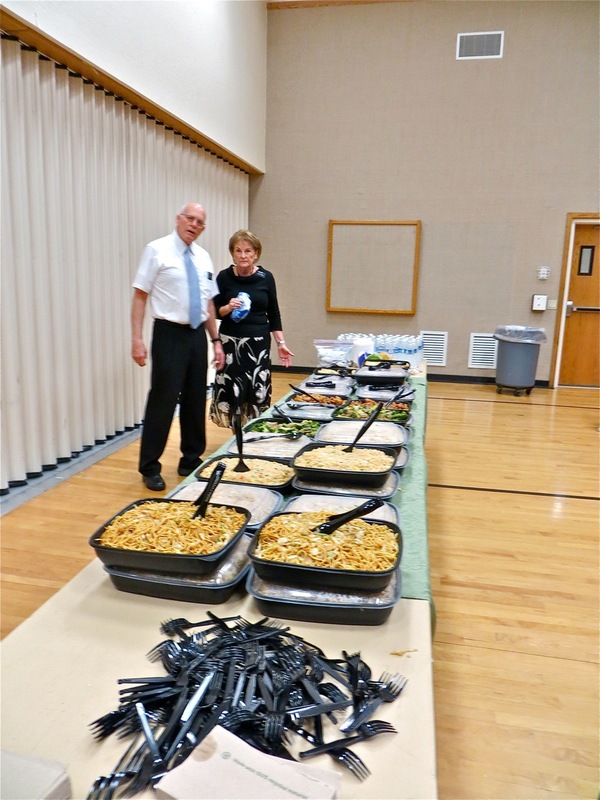 Sister Anderson made sure there was plenty of food for the 70-80 missionaries who were there. The Boices and I sat out the food. 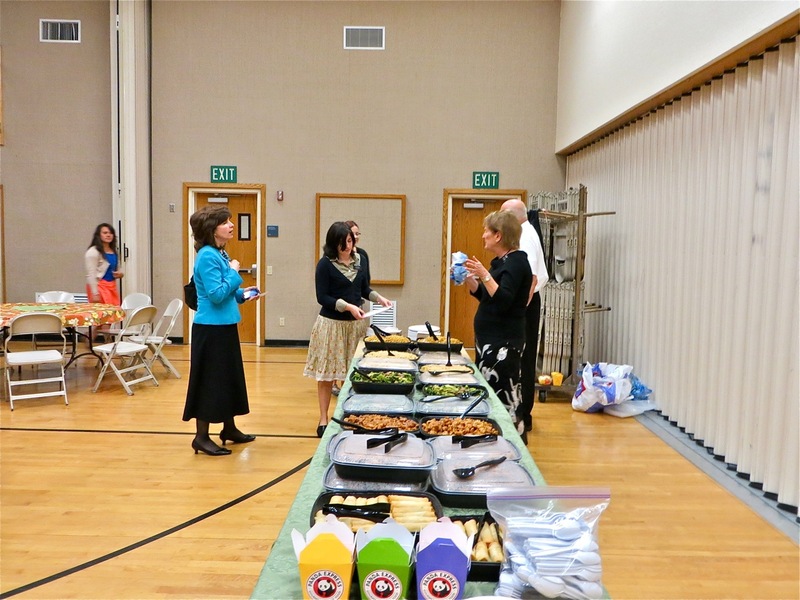 Sister Hymas was the first in line as sister Anderson looks over our work and gave us a thumbs up. Sister Quiocho says she does not pose when she sees me taking pictures…I will let the picture speak for itself. 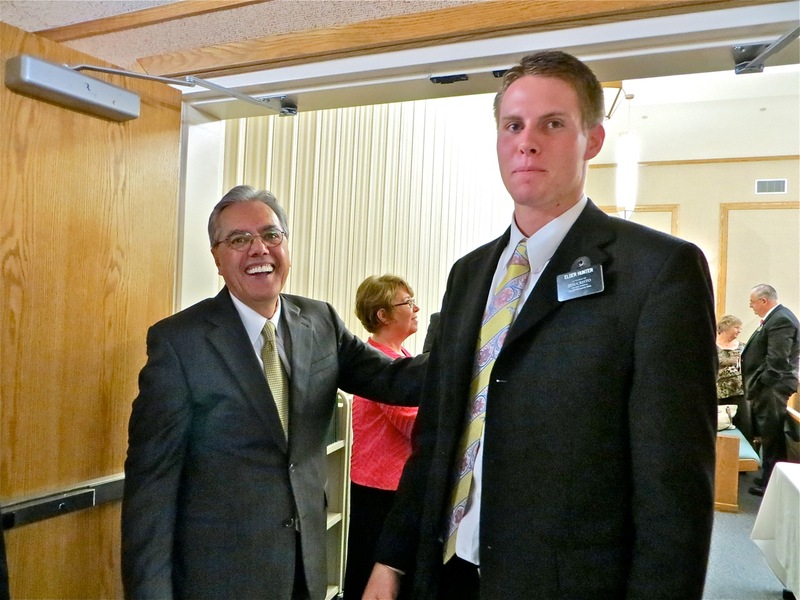 Sister Brown is in the background as is sister Smith. 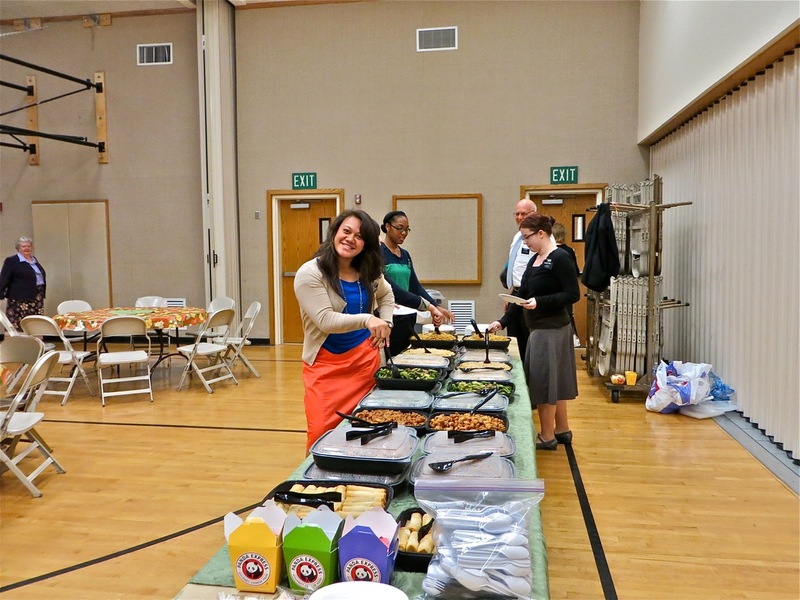 The sisters get to be first in line as Mary starts to help with the food. 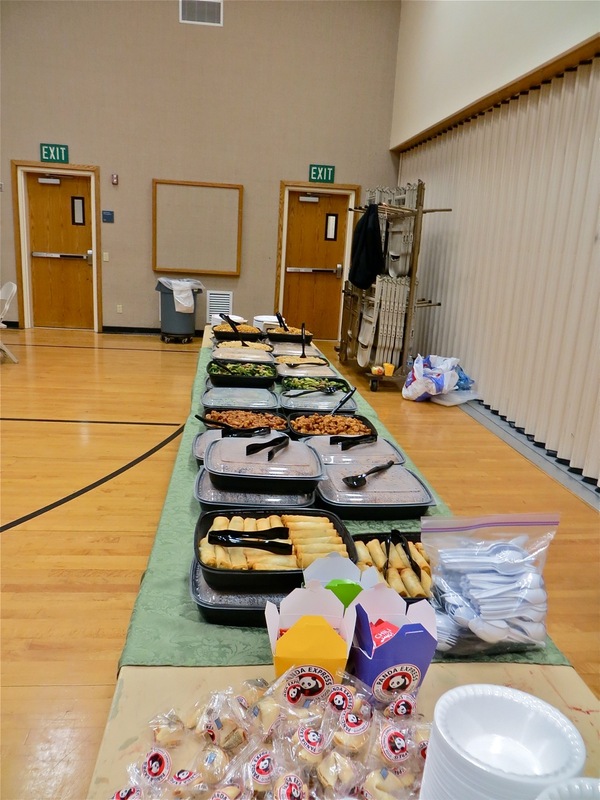 The elders soon joined in and the heaps of food on their plates show that they were ready to eat. 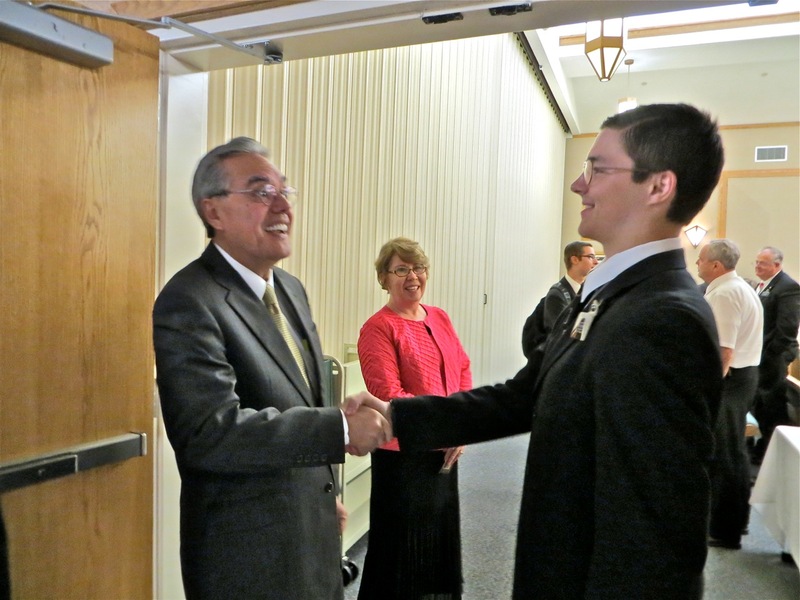 Since the food line was moving along, I went to get in line to meet elder Haleck. 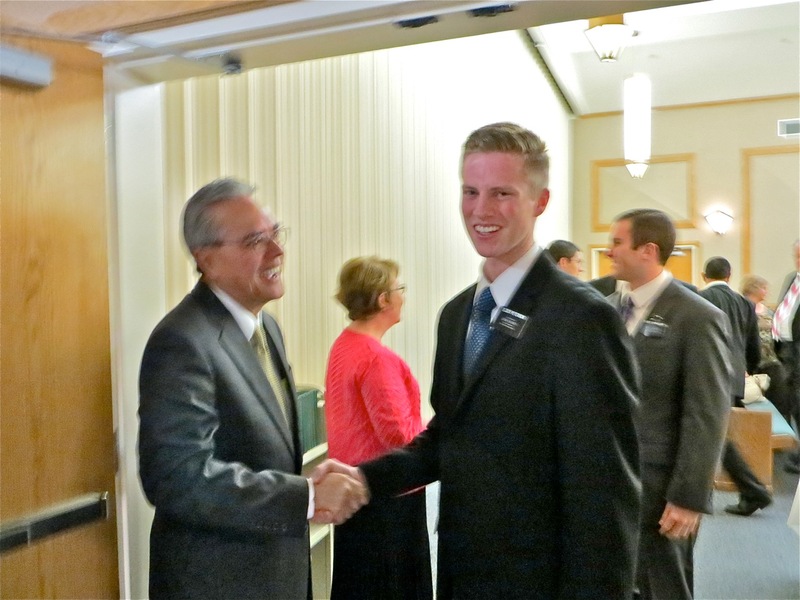 When I got there I started taking pictures of some of the missionaries as they shook hands with him. 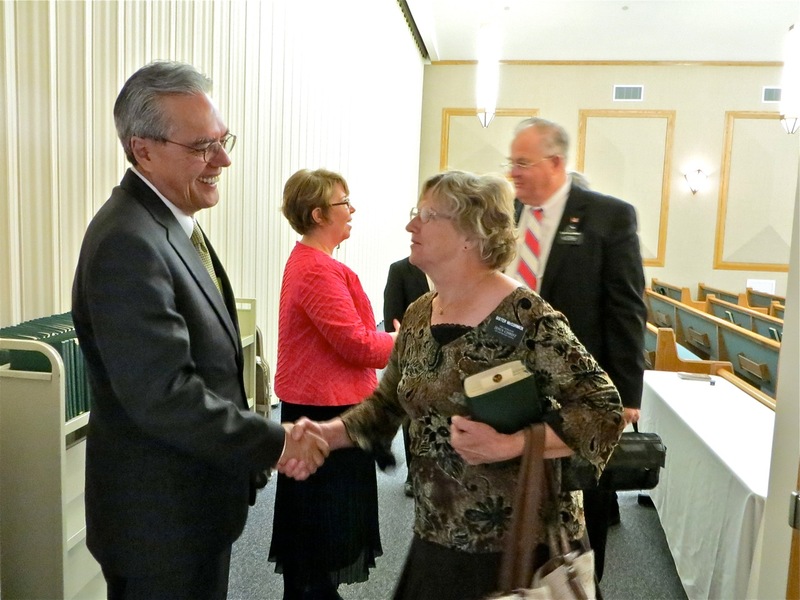 Elder Haleck’s wife greeted them also. 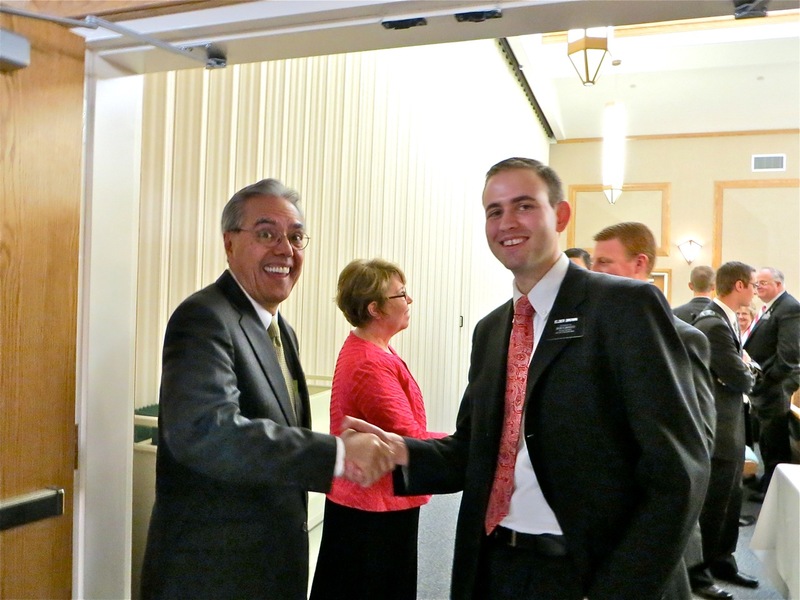 There are too many pictures to name them all but I am pretty sure parents and friends will recognize their missionary. 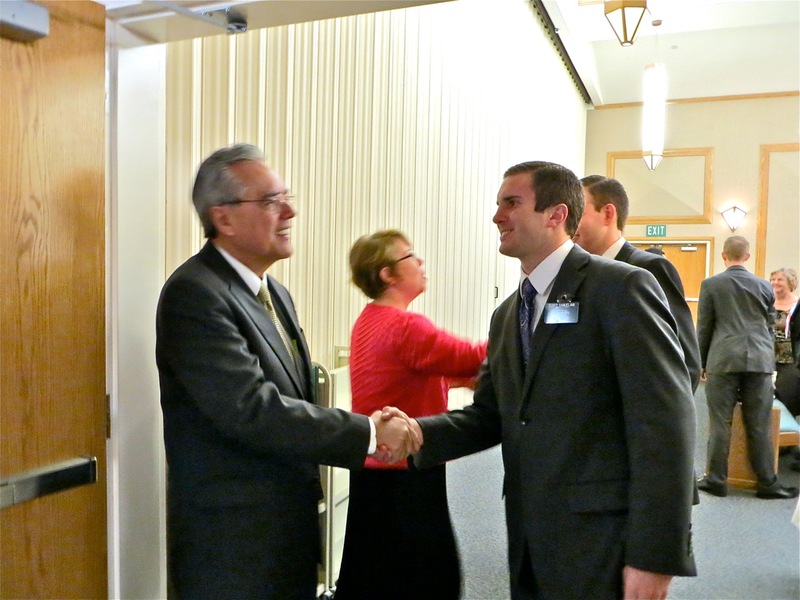 I never did get to shake their hands but later I did have a chance to talk to Elder Haleck about when he was mission president in Samoa. 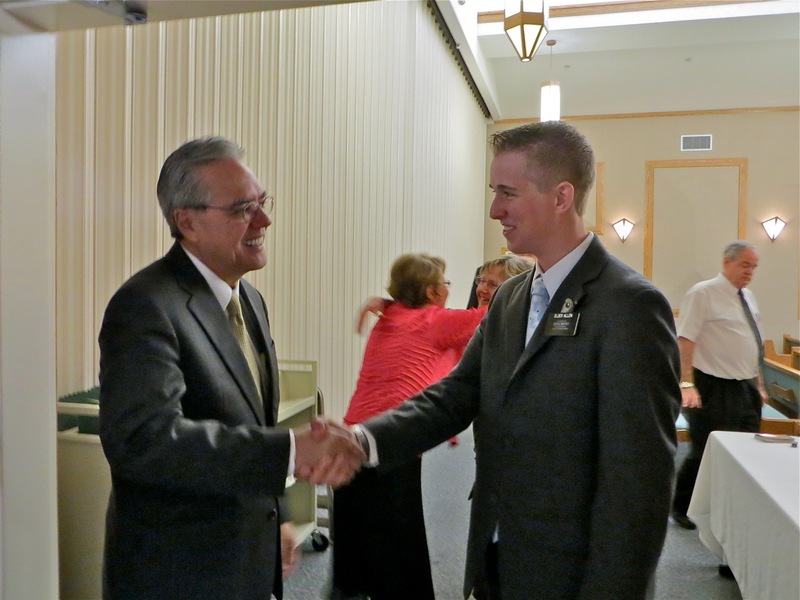 During their 3 years of service the mission had about 5000 baptisms and re-activated about the same number. 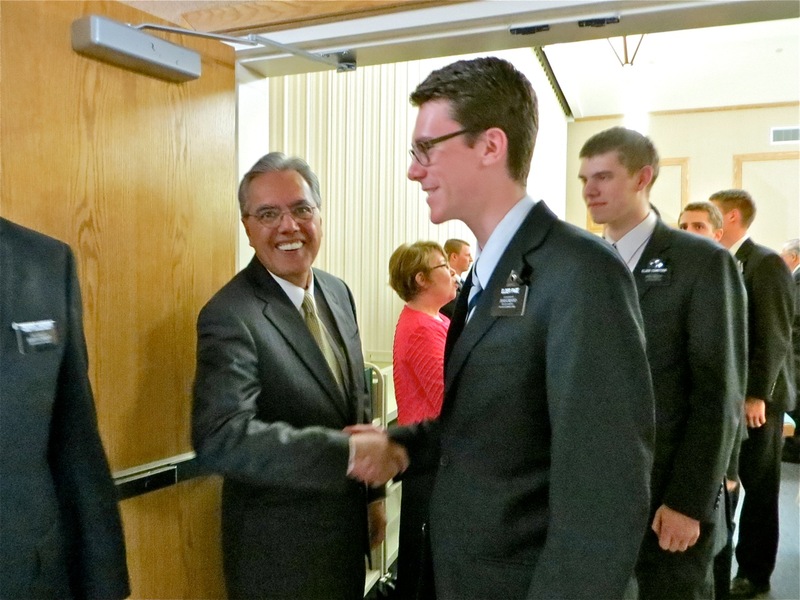 The mission raised sacrament meeting attendance so high that 3 or 4 new stakes had to be formed. 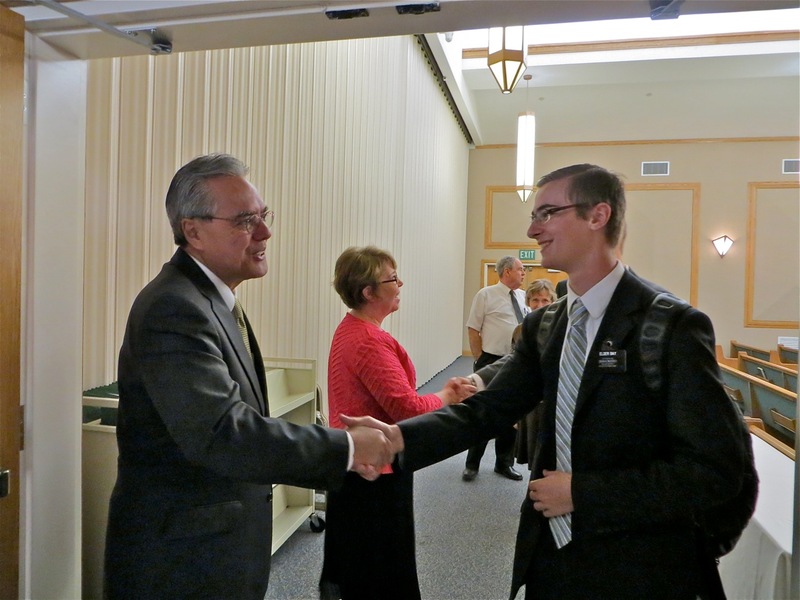 Of course he has a special place in his heart for missionaries as he did not join the Church until he was 17. 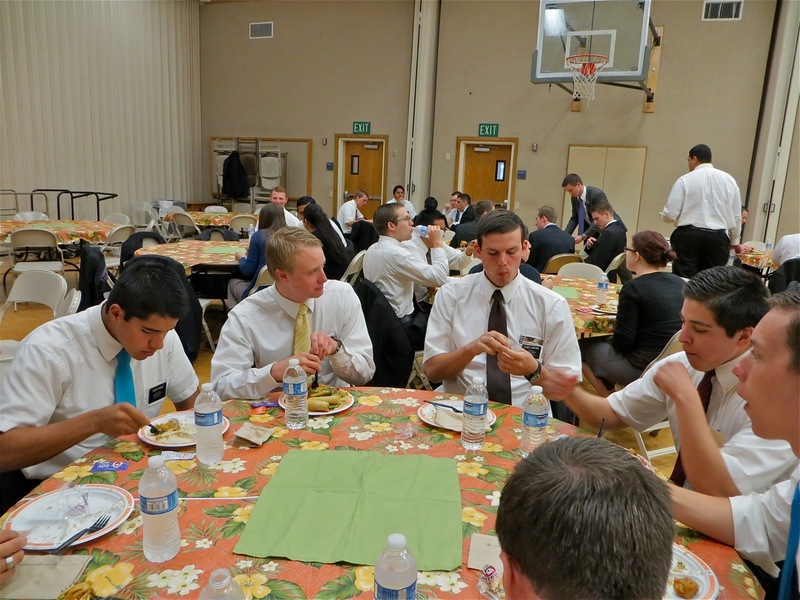 After greeting the McCormicks they did get have some lunch. 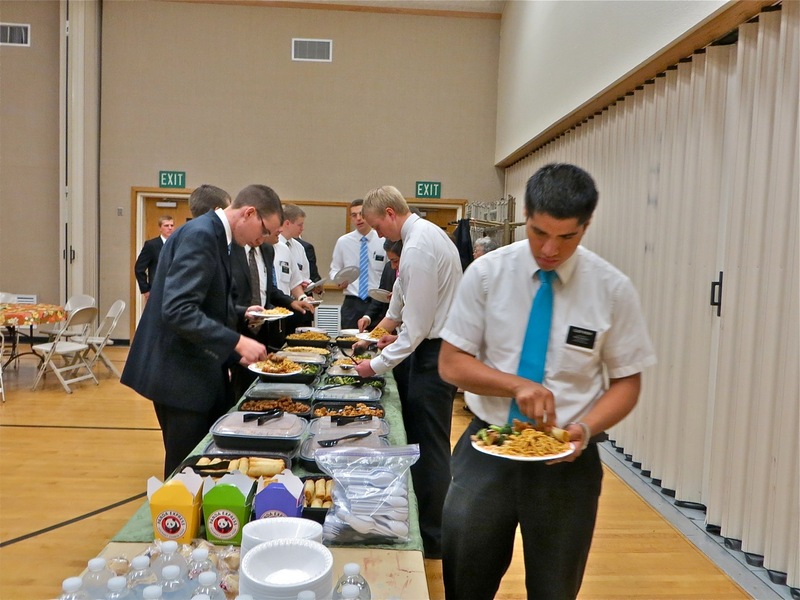 Elder Rockwood was coming back for seconds I believe while elder Diaz got his first plate. 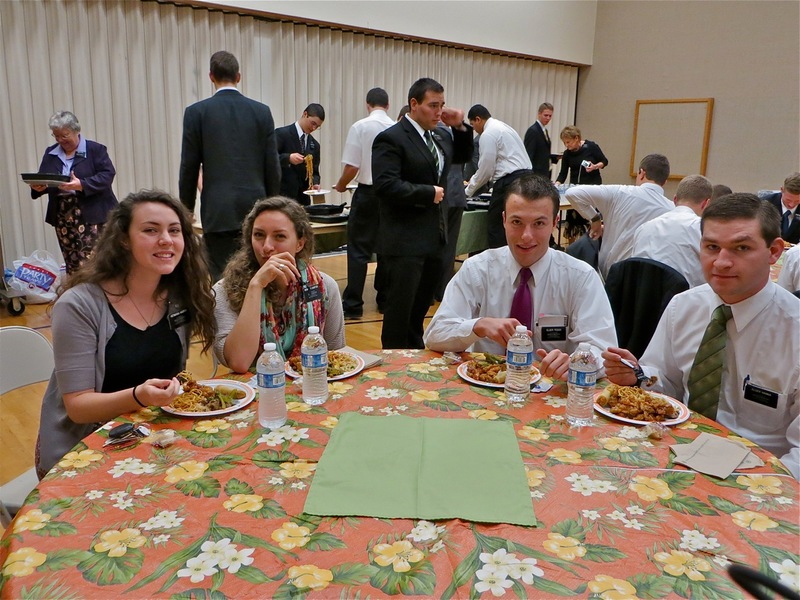 The sisters did not all sit together as they sometimes do at conferences. 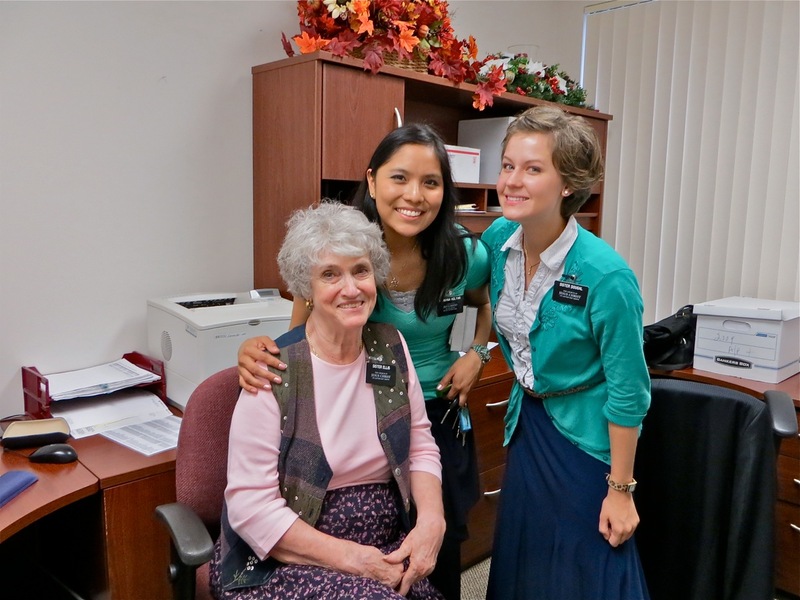 Sisters Andrus and Dunford, who we saw yesterday at the office, were joined by elders Tesch and Hanna. 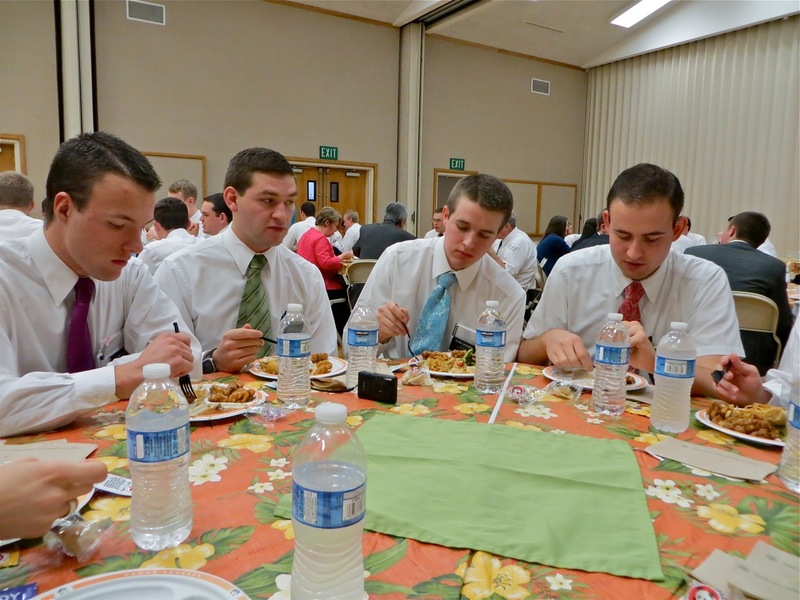 Elder Brown were at a table with elders Fullmer and Koerper – the companions who serve at the end of the world and mission down in Key West. 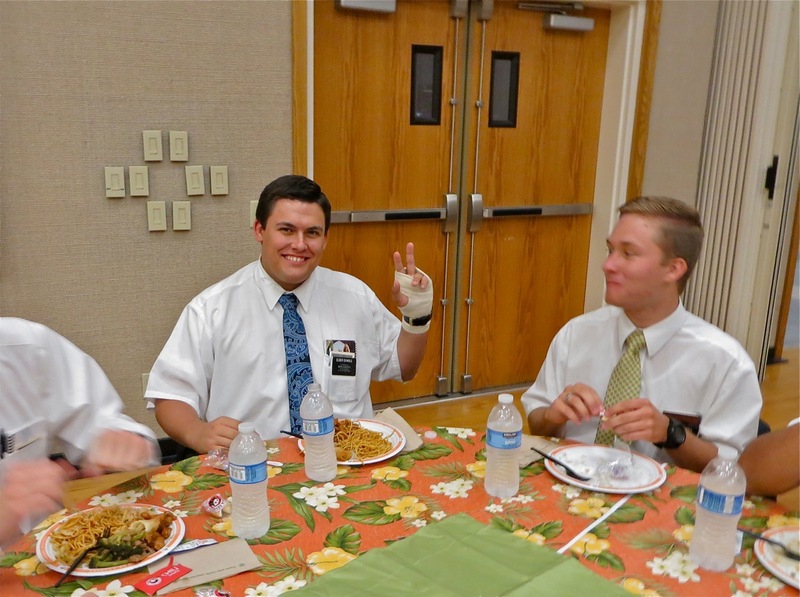 Elder Dowdle was willing to show off his hand that required 10 stitches when he accidentally cut himself with a machete. He was cleaning it when it went off? Elders Lee and Toeava again. This time with sisters Lira and Schneider who serve in Miami Lakes North. 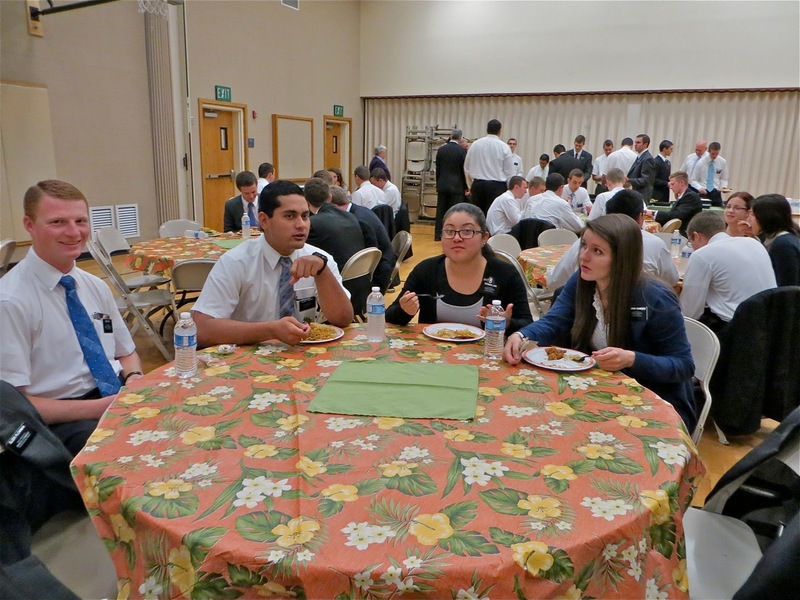 Sisters Smith and Hymas serve in Killian West had lunch with elders Maki and Curtis who are serving in Blue Lagoon East. 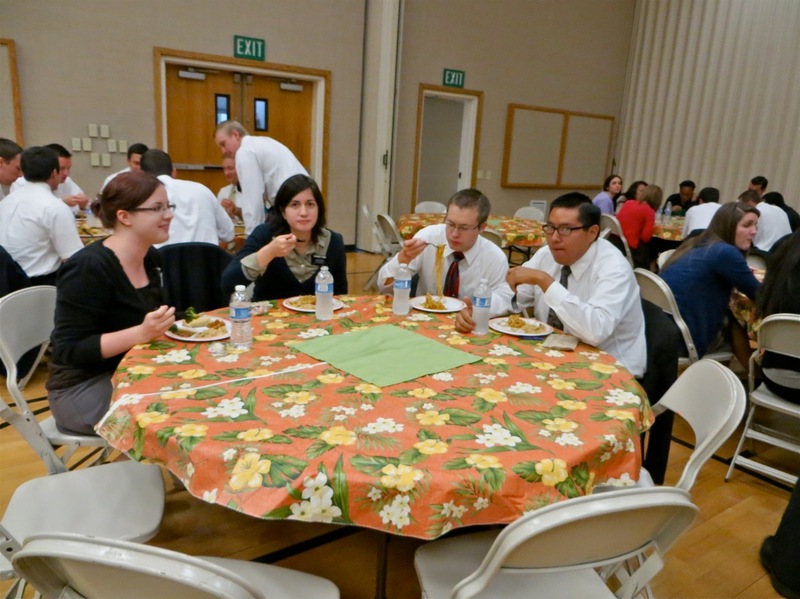 We joined the table with elders Tesch, Hanna, Skousen and Brown. 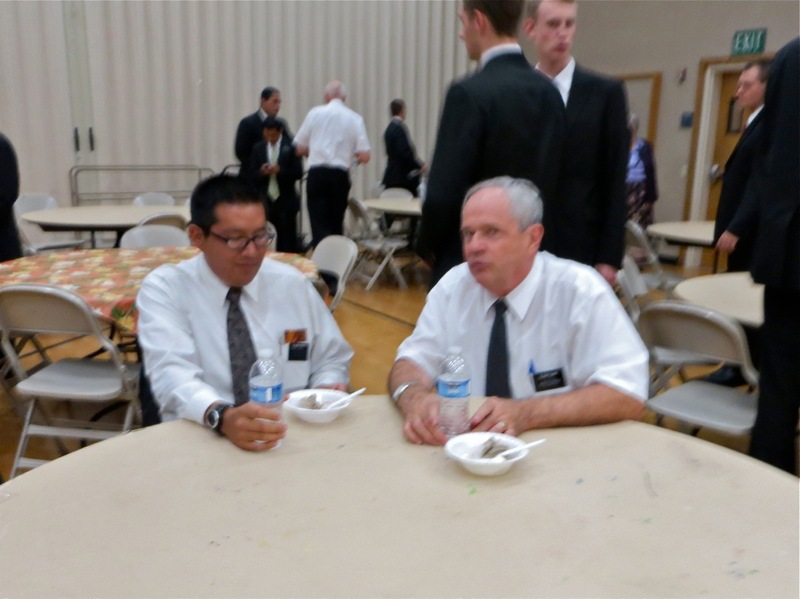 Elders Curtis and Bare hold a conversation – maybe about cars or elder Bare was getting a Spanish lesson. 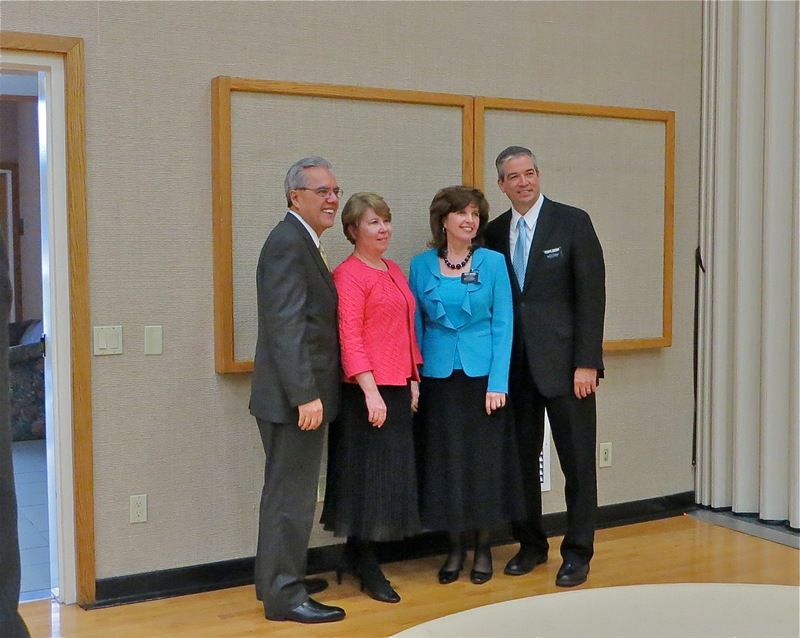 The Halecks and Andersons had an official picture taken by elder Shipley – I took mine from the side. 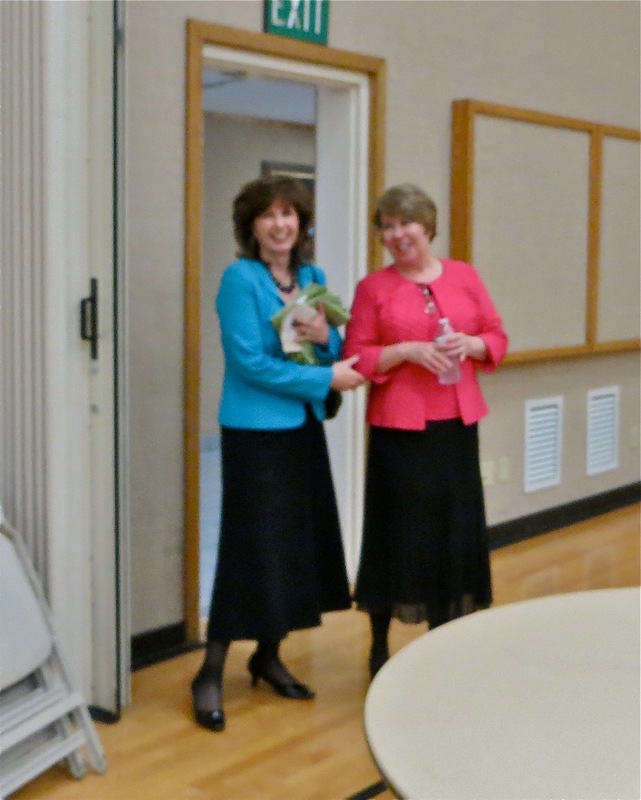 I also got one of sisters Anderson and Haleck talking…it came out a little blurry but as bishop Brown often says – it is what it is! 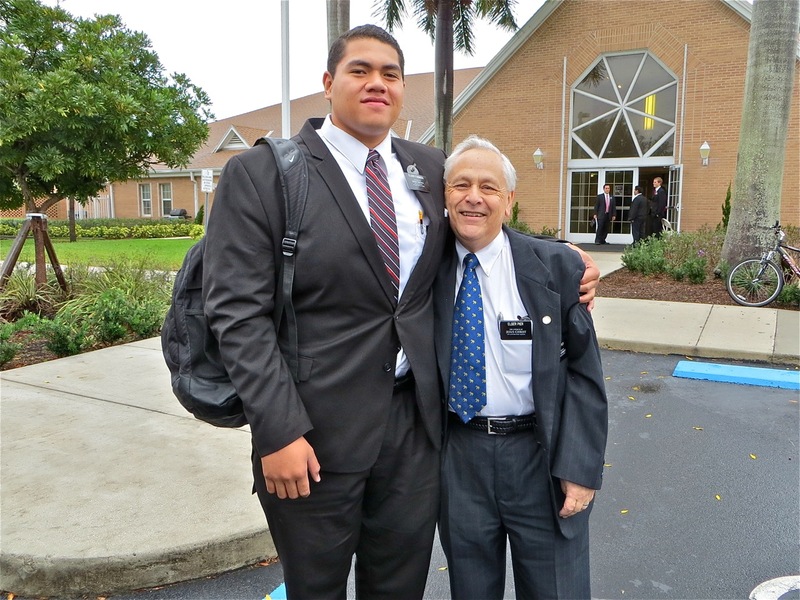 The Halecks had their picture taken with elder Toeava who comes to us from Samoa. I am sure they know a lot of the same people. We got most of the sisters together for a picture. 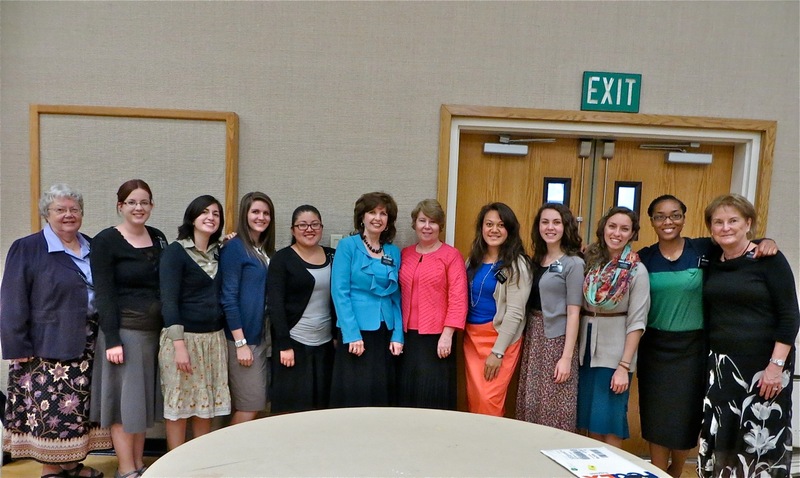 What a group of amazing women and missionaries. 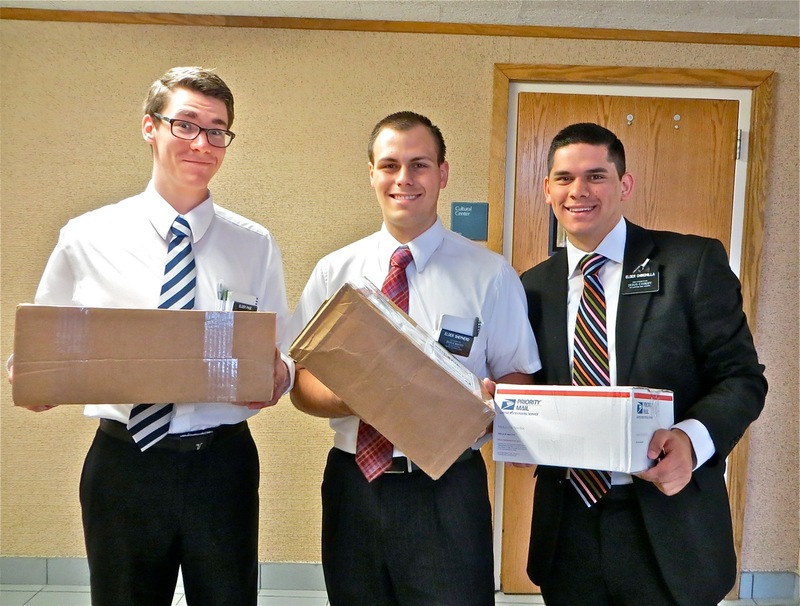 When we got back to the office, sisters Holyan and Dougal dropped in so I got a final picture of the day of them with sister Ellis who was doing the mail. It was a very good but very tiring day for us! We are looking forward to a quiet p-day. 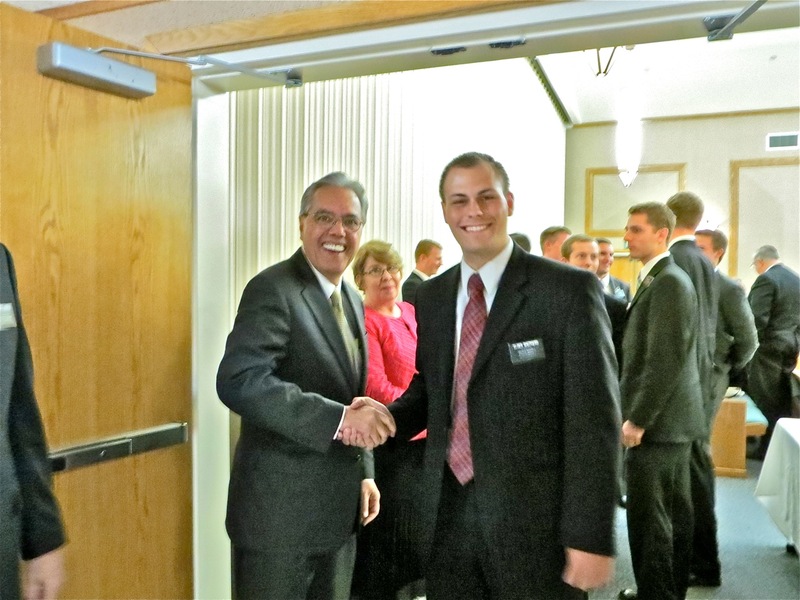 This entry was posted in Fort Lauderdale Mission on February 15, 2013 by Bill.